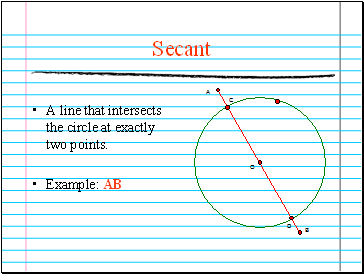 The segment joining the center of a circle to a point on the circle. 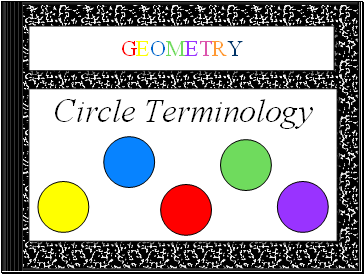 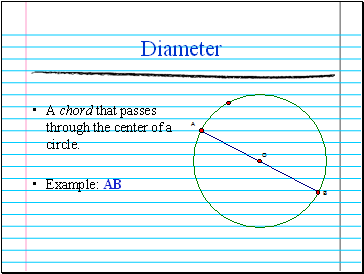 A chord that passes through the center of a circle. 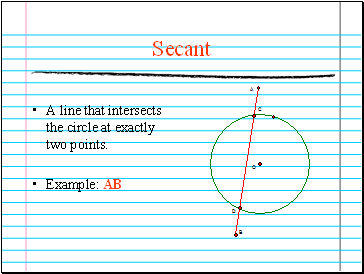 A line that intersects the circle at exactly two points. 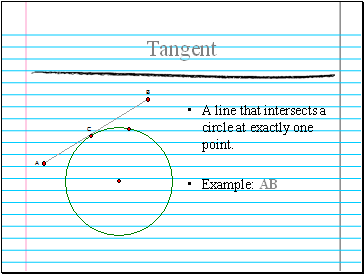 A line that intersects a circle at exactly one point. 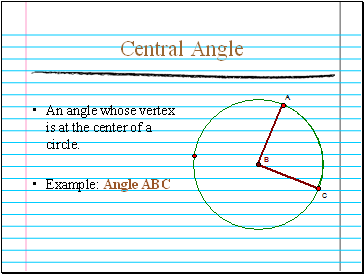 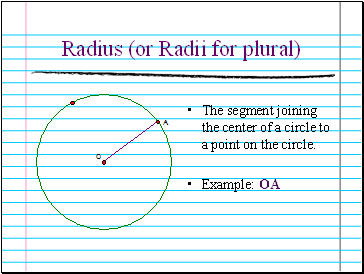 An angle whose vertex is at the center of a circle. 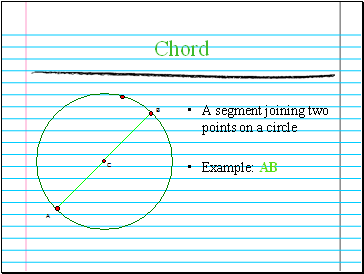 An angle whose vertex is on a circle and whose sides are determined by two chords. 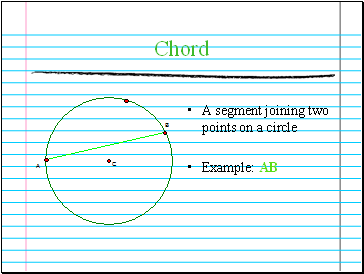 A figure consisting of two points on a circle and all the points on the circle needed to connect them by a single path. 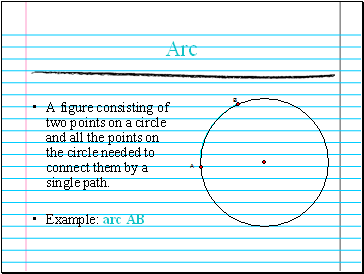 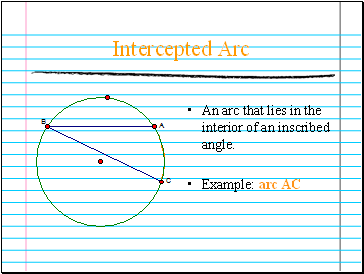 An arc that lies in the interior of an inscribed angle. 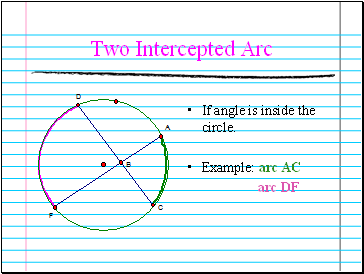 If angle is inside the circle. 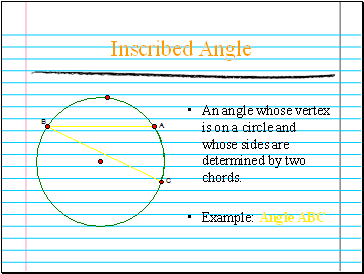 If angle is outside the circle. 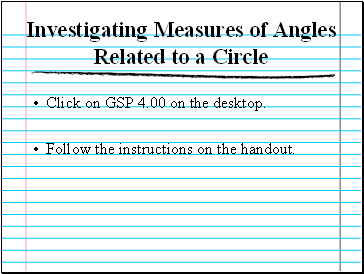 Click on GSP 4.00 on the desktop. 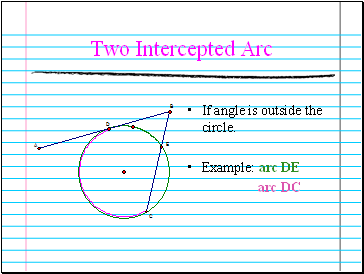 Follow the instructions on the handout.